Round dance floor differs from the usual square shape that we provide, it is our perfect work of accurate calculation and elaborate. Round dance floors are created by attaching specially crafted edging panels that attach around an existing composite laminate dance floor. The complete laminate top ensures that your floor is water resistant, backing for extra protection from the elements. 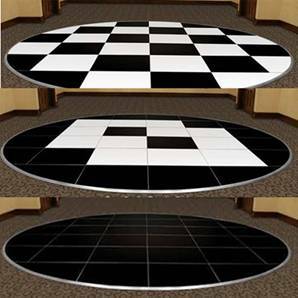 Make your dancing space truly unique just with one of our patented round dance floors. 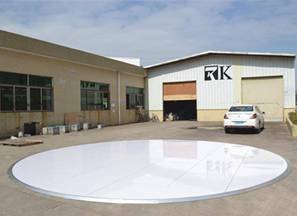 We provide various custom sizes, such as 6m, 8m, 9m diameter and so on. The important point is that our professional solutions are uniquely customized and provided for free. Want more details., pls click: dance floor. Any demand, just let me know. pre：Still looking for the perfect stage this Christmas?